I have wanted a Singer 301 since I got to sew on my sister in law's machine. I have looked and looked for one with no luck. I was goofing around on Facebook one evening and found some vintage sewing machines. I thought they were in one town but they ended up being located somewhere else. I knew a VSM collector in that area so I put them in contact with each other. I hadn't seen anything in the photos on Facebook that I wanted so it wasn't like I was giving up a dream machine. Then the fellow VSM fan posted pictures of the haul and there sat a Singer 301. I was a little sad but she was asking if anyone saw anything that they wanted. I asked for the 301 and that was one of the machines she didn't want. So a road trip and some trading and I was the proud owner of not one but two Singer 301 sewing machines. One machine was in pieces and I am not sure if it is all there and one was still together but missing the bobbin case. I started looking for one online and found out that Sewing Machines Plus carried both the bobbin case and the bobbins. I was thrilled when they sent them to me in exchange for me spreading the word that they carried parts for our beloved vintage sewing machines. I also go some feet for slant shank machines that will be shown off on social media in the next few weeks. I agreed on one condition that I would be completely honest about the quality of what they sent me. I am sure you have figured out that they were good with that. I was a little worried because I know that the reproduction bobbin cases for Singer 301s can be a pain. They use the same bobbin case as the 221 featherweight machines and I've seen many people purchase a new bobbin case and it not work. I have been sewing on my machine for a few weeks and haven't had a single issue with the bobbin case. It works perfectly. 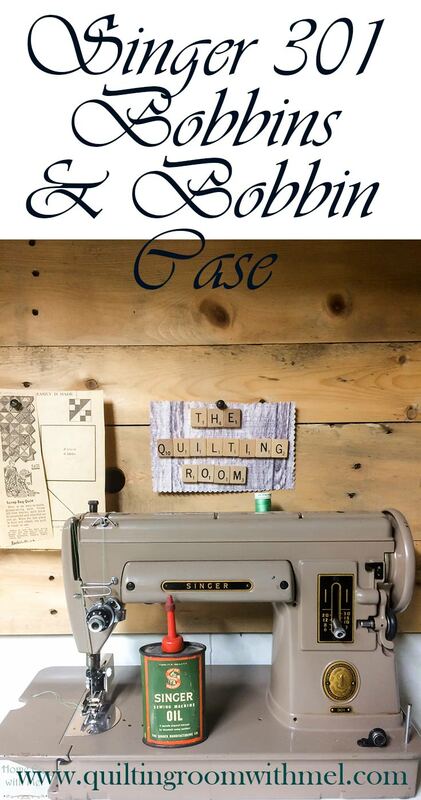 I would certainly purchase another bobbin case if we get that other 301 up and running. You know Paul and I can't share anything, we have two Necchi BUs. They also sent over ten bobbins for the Singer 301. I had two that were too narrow to use. I wondered how they would handle it because it wasn't even two dollars worth of product that was goofed. I called their customer service number and got a call back a little later. The time zone difference got me. I didn't realize that they weren't open when I called. The person I spoke with explained how the problem could have happened and offered to replace or refund. That made me feel so much better about telling you about them. Getting a bad bobbin is going to happen unless they have someone checking every single one of them with a Singer 301. 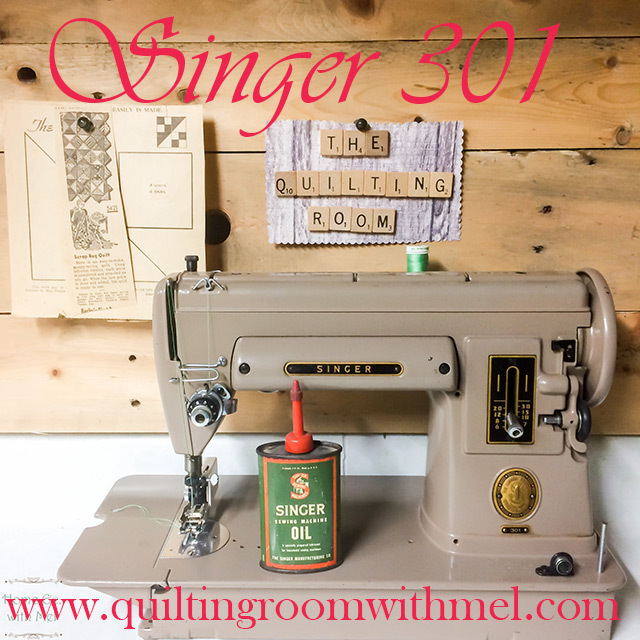 If you are new to Singer 301 sewing machines you might want to check out my review of the machine. The one thing I wasn't able to do in that video was wind a bobbin because I didn't have an extra bobbin. My bobbin winder needs to be adjusted slightly as you'll see in the video it isn't winding evenly. I point out how to adjust it in the video. If you need help getting your vintage sewing machine up and running be sure to grab our free checklist with everything you need to do just that. Our sign up below to get our newsletter sent to your inbox that's loaded with tips, tricks, and projects. Don't forget to pin the image below or hit the share button so you can find this post again.